First and most obvious is its shape, which resembles the shape of a goat’s horn. The shape itself also makes drinking from the mug easier because of the angle that a curve creates. We designed a special holder which easily transforms into a coffee mug stand. It has a perfect leather touch. 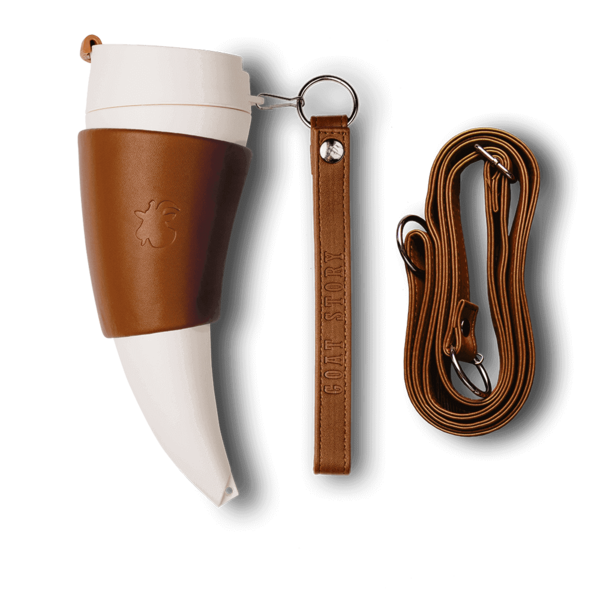 The mug is made from a completely healthy material and it is BPA FREE, which means it is totally healthy for you to use it. It holds 355 ml or 12 oz. and it keeps its content warm for up to 2 hours. Bringing it everywhere I go, love the shape! Great. It is actually a gift to my friend who likes the creative design of the mug. It is both useful and portable.